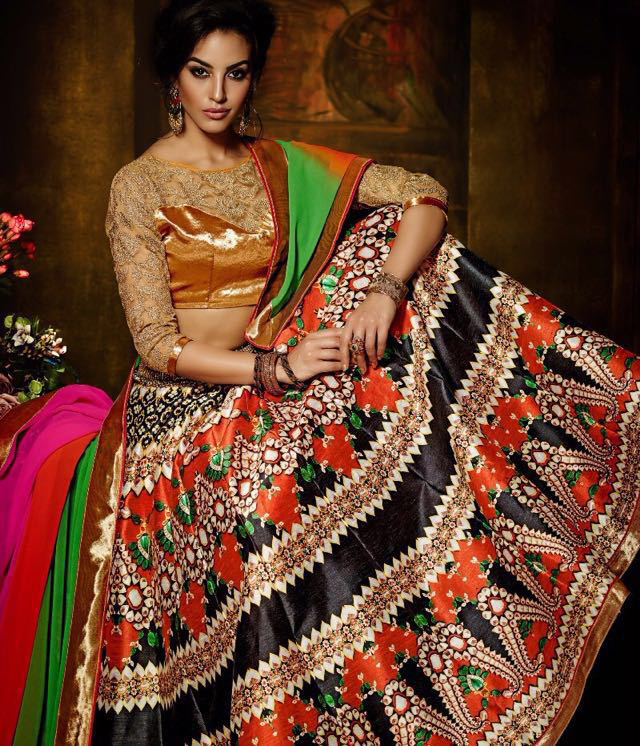 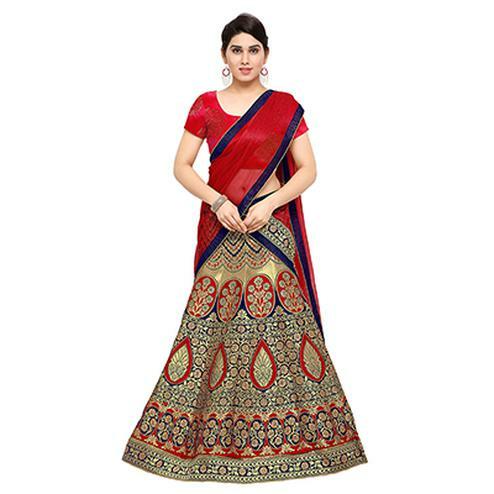 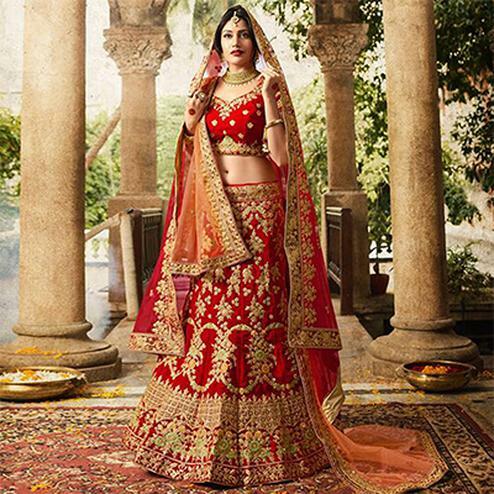 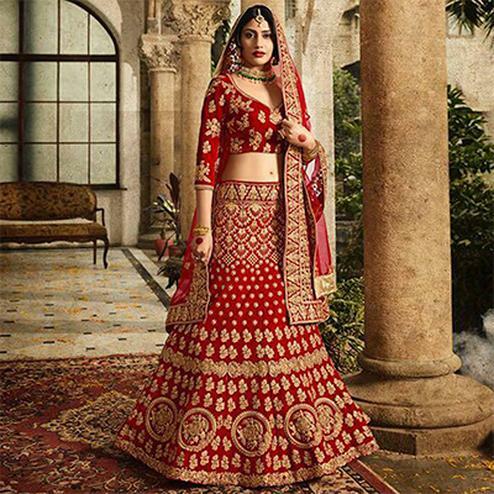 Look absolutely flattering in this black - red designer lehenga choli. 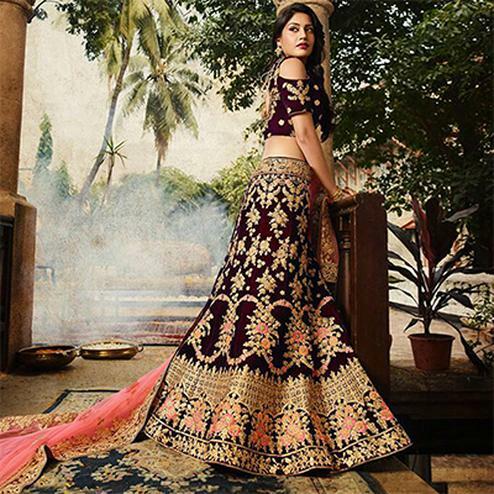 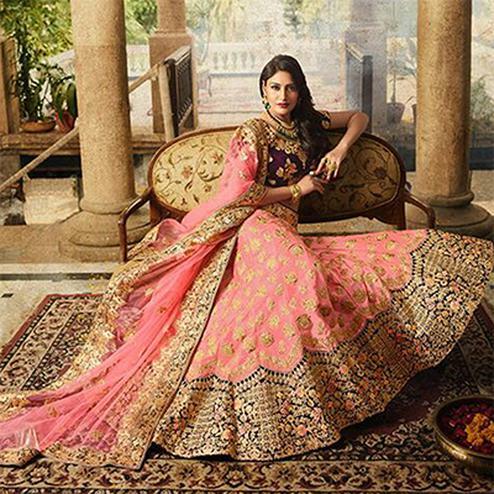 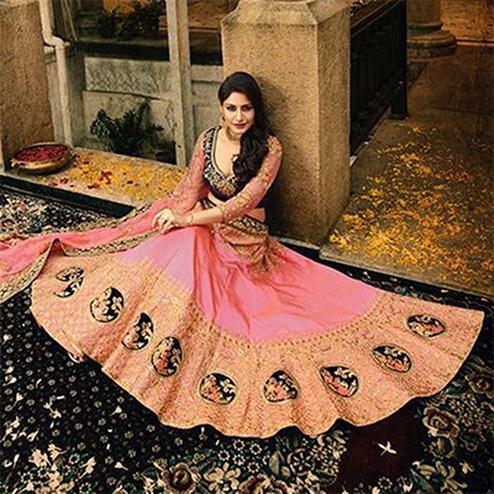 The outfit has digital print lehenga with contrast lace border, embroidered work choli & georgette dupatta with lace work. 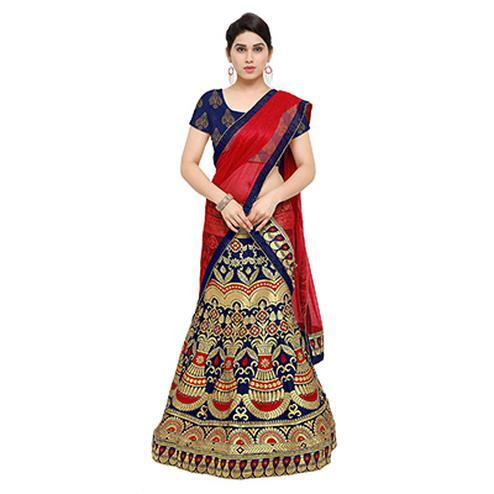 It's a perfect attire for weddings & special occasions.